Some music – really extraordinary music – has the ability to give you goose-bumps when you listen! It can be the composition, the arrangement, or the playing that triggers the sensation, but it’s a pretty rare experience. Jaco Pastorius was one of the few bass guitarists I’ve encountered whose playing could give me goose-bumps! Now, of course, he is gone, but despite a relatively brief recording career from 1974 -1986, Jaco left a huge body of work for us to enjoy and remember him by. 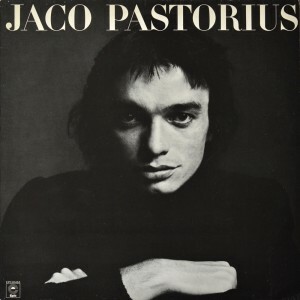 From his first recordings with Pat Metheny and superb playing and writing with Weather Report, through to his breath-taking solo work and thoughtful contributions as a session player, Jaco Pastorius’s musicianship and spirit live on. Do you get that incredible singing bass sound on an ordinary guitar, or are there some special attachments that you use? What sort of amplifier do you use with that? (laughs) I first heard your very distinctive sound on Joni Mitchell’s Hejira and Don Juan albums. How did you become involved in those recordings? There used to be a lot of contractual difficulties when artists from a different record company played on albums like that. Is there any easing off on that position now? 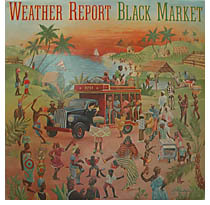 It was after the Black Market album that you joined Weather Report – what were the circumstances surrounding your recruitment to the band? From those first singing fretless bass notes at the beginning of ‘Cannonball’ I was aware that something had happened to Weather Report! Here was Jaco, intelligently and articulately filling out the bottom end of their music, but giving it a chance to breathe, and easily providing the drive where it was needed. He seemed to be just as happy playing the lead line on the bass too! Hearing ‘Cannonball’ and then Heavy Weather, encouraged me to find out more about Jaco, but at the time of the interview I hadn’t been able to track down his much-acclaimed solo album. So I asked him to tell me all about it. I have to admit that I haven’t actually heard your solo album yet, it’s not been easy to get hold of it here in England! So we have to listen to Donna Lee, you reckon? Do you have any plans to record another solo album at the moment? 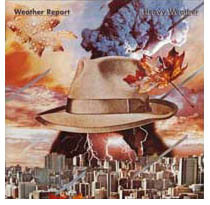 Heavy Weather was the album that followed your debut with Weather Report on Black Market. ‘Birdland’ from that album received a Grammy nomination for the best instrumental composition of 1977, and the whole LP now seems to have been very well received and has done very well in countless jazz polls. How did you approach the recording of Heavy Weather? So what’s the difference between co-producing and producing an album? It sounds as if you don’t really see each other very often, more-or-less just for rehearsing, gigging and recording? Getting back to Heavy Weather again for a moment, on ‘Teen Town’, – with its great ‘talking’ lead line on the bass from you, and you’re also playing drums so how do you manage that? Do you have a favourite track on the new album, or is ‘River People’ it? There is a bass synthesizer sound on that track isn’t there? For anyone who ever doubted Jaco’s faculties at this stage of his life, check out his perfect recall of the upcoming itinerary in response to one of my questions – and this is in the middle of a tour! You mentioned the new drummer. What is the current line-up on the tour? But I noticed you used Steve Gadd and Tony Williams on the album as session drummers. 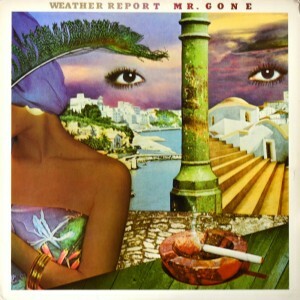 A lot of Weather Report’s work seems to be constructed from already written music rather than improvised – is that detrimental to the music in any way? Clive Williamson is now a freelance music technology journalist, and composer and musician with the Devon-based ambient group Symbiosis. This article copyright Clive Williamson, 1997. First published in Bassist Magazine (UK) 1997. 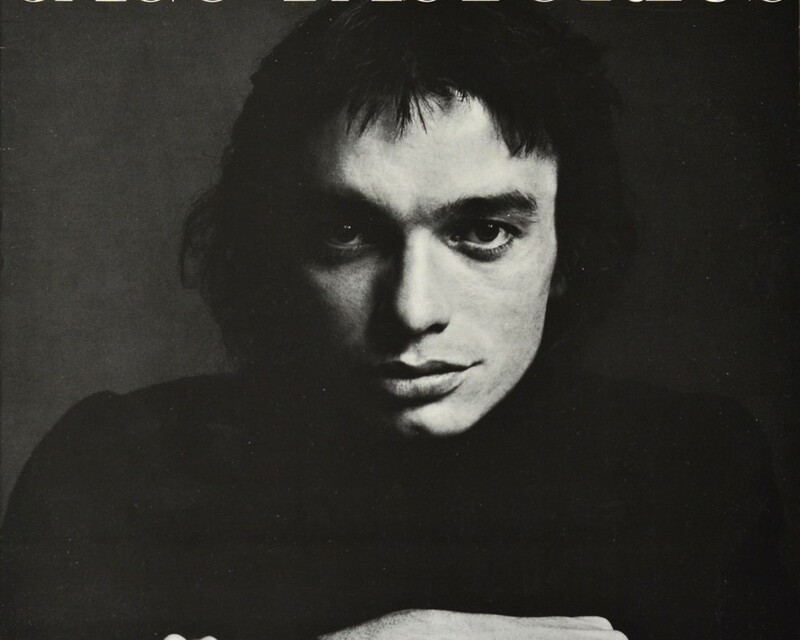 Postscript: For anyone wishing to find out more about Jaco Pastorius and his music, I highly recommend reading JACO: the extraordinary and tragic life of Jaco Pastorius, “the world’s greatest bass-player” by Bill Milkowski, which charts Jaco’s life in a fascinating, involving, and sometimes unavoidably upsetting way.